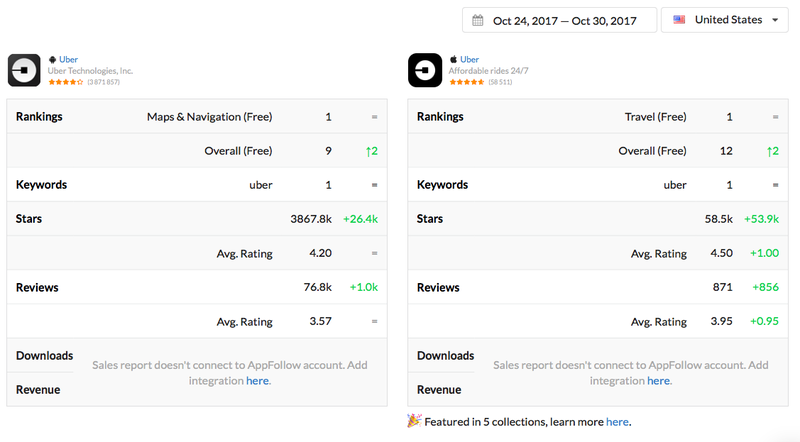 TL;DR: in the latest October release we’ve introduced Ratings chart, favourite apps dashboard, Amazon Appstore support and improvements for ASO Tools and Slack reply-bot. After a long lasting beta we are finally launching a new interface for tracking ratings (stars) for iOS, Android and Windows apps. It comes with “Collect ratings” option for premium accounts. What’s more, we added a chart to compare favourite apps (usually users compare iOS and Android in order to evaluate each platform performance). Thanks a lot to all beta-testers who helped us on this difficult way. If you wish to try this feature, drop us a line on help@appfollow.io and we’ll set a trial for you. Otherwise, just choose “Collect ratings” for your Premium-account. New app version releases and featuring status. Along with this interface there is a new email-report — Dashboard. 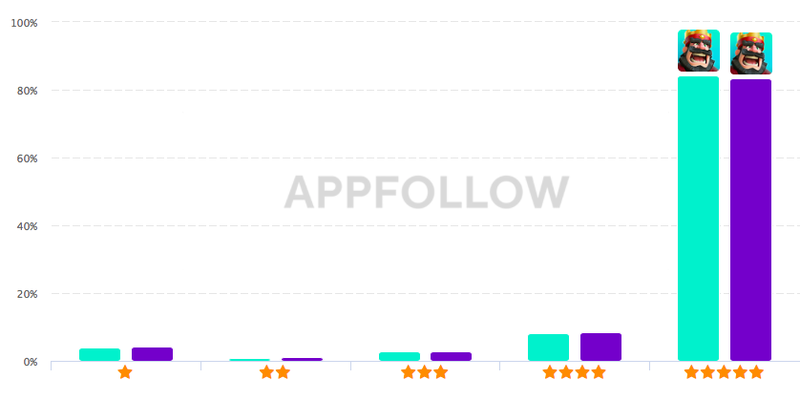 It shows same data for selected country + top reviews for each favourite app. There is a simple way to activate this feature — just star one or more apps as Favourite in each collection you have in your account. Dashboard-report will be generated based on these apps. 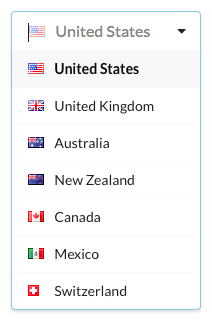 Quite persistently our users kept asking us to add Amazon Appstore to the list of supported marketplaces. We made it happen ? Add the store link to find the app. The rest acts as usual: we collect meta-data, new versions, stars and, of course, reviews. Slack, HipChat, Zendesk, Trello and e-mail support is as well in place. Right after iOS 11 release AppFollow started tracking apps new meta-data including Subtitle, Promo Text and Promo Banner. All this is available on the app page. 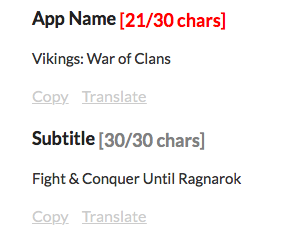 Also app page got charts count for App Name and Subtitle. It highlights if it can be updated with more keywords. 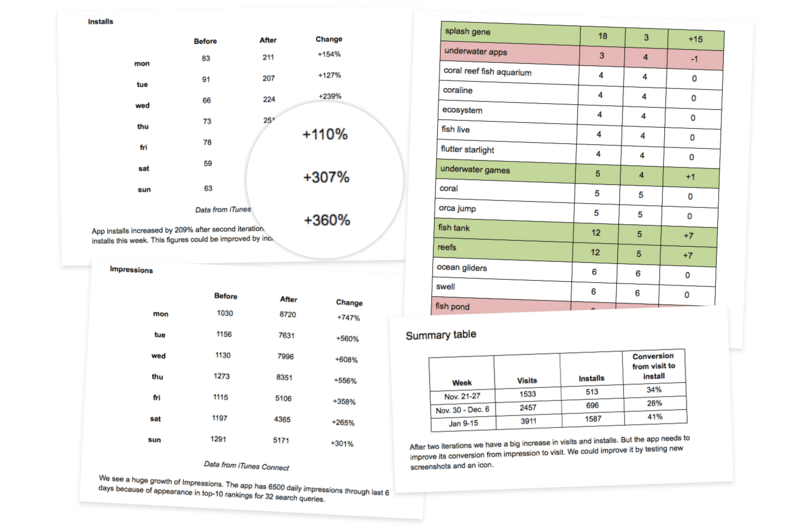 We added Subtitle word count to the Summary Keyword Table. 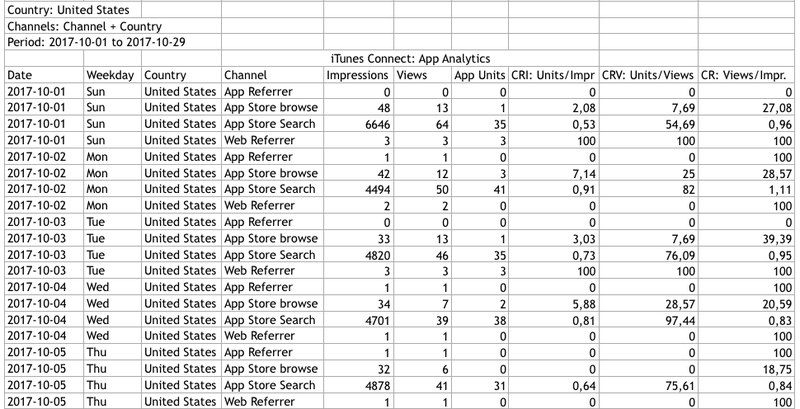 This field is indexed by App Store the same way as App Name, however keywords value is lower. In the next releases we’ll add iOS 11 support for search and category tops and, of course, Today section monitoring ? We keep an eye not only on App Store updates but also on Slack improvements. That’s why we updated our Slack Reply bot with modal window to type your replies to users reviews. 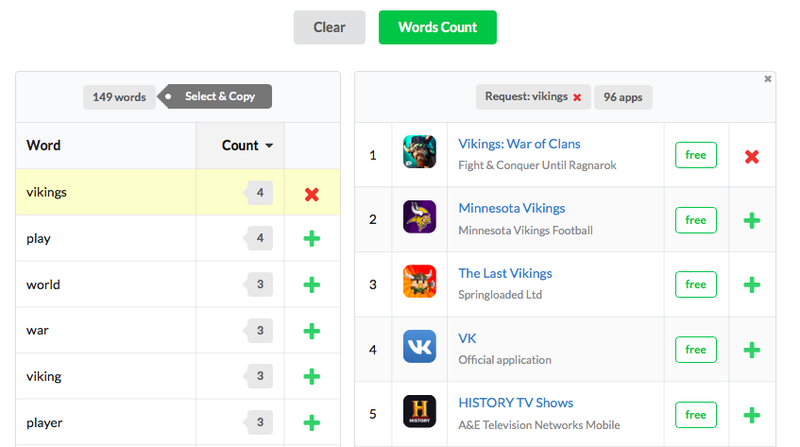 Improved Count Words: now it’s easier to add words from Count section to Keywords dashboard and you can instantly get search results for each word on the same screen. 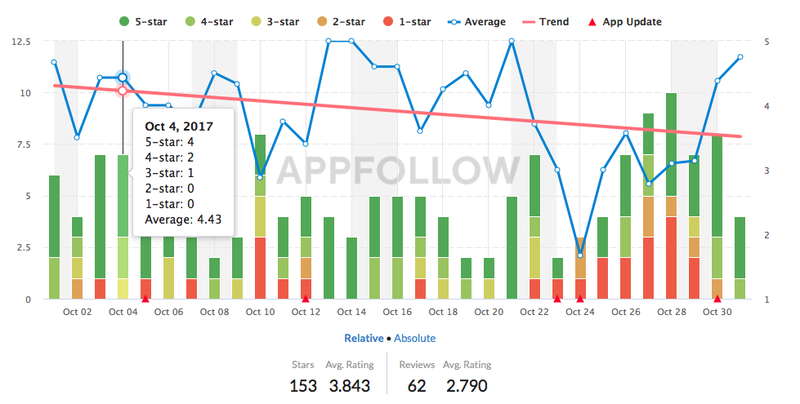 As many of you might know, we are actively helping our customers with ASO optimization. Evaluating changes made to an app or game is crucial for understanding how ASO performs. To do so as a rule we generate ASO reports to assess changes in app positions, impressions, views, downloads and conversions. So far these reports were created manually. 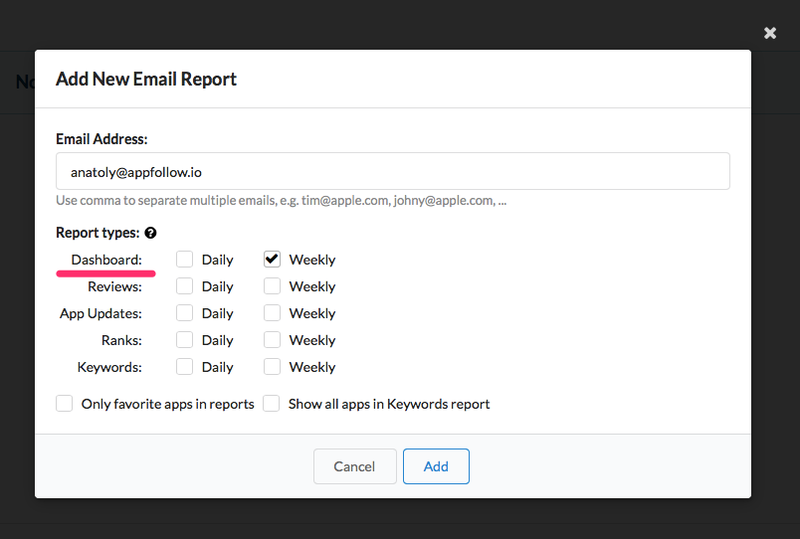 We’re now taking our first step towards performance reports’ automatisation by setting an export option for raw ASO-metrics (in Excel or CSV) from App Analytics (iTunes Connect) and User Acquisition (Google Play) splitted by days, countries & channels. when it’s done you will see a new button on the app page: Get ASO Reports (beta) — it allows to export ASO-metrics into ASO report. So far this feature is in beta-mode. 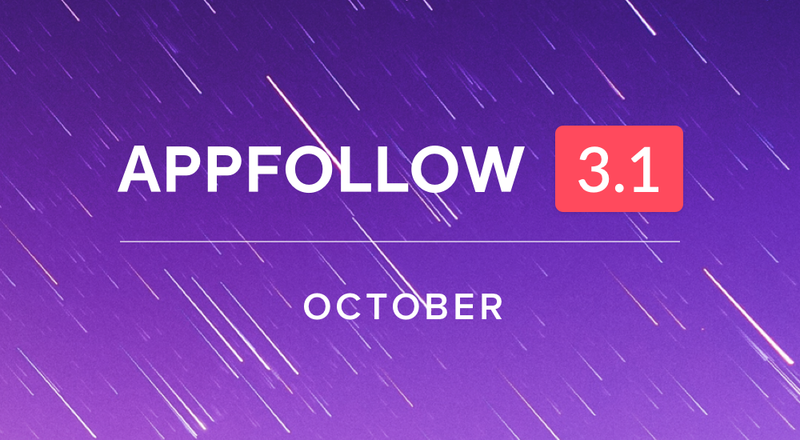 If you have any questions or comments, let us know: help@appfollow.io. 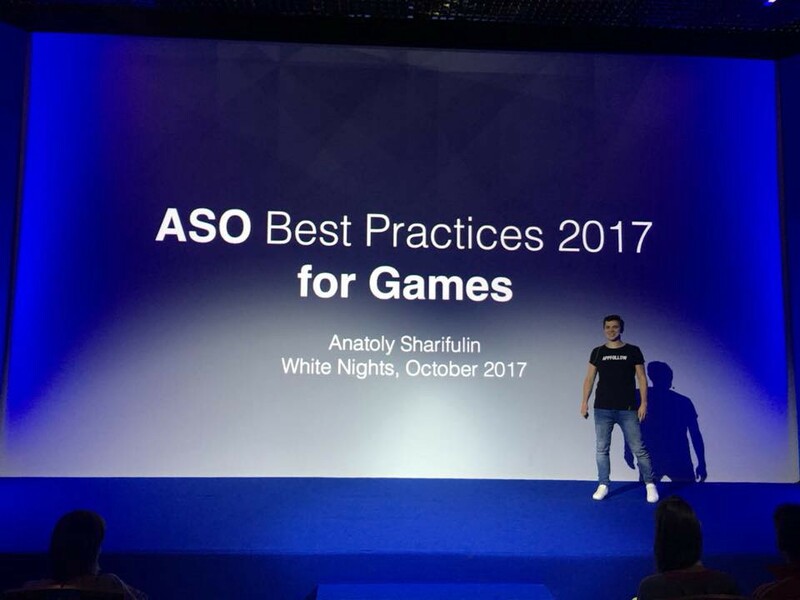 In October we took part in White Nights Moscow conference and show-cased ASO Best Practices 2017 for Games. Presentation slides are available here. Hopefully event hosts will post a video with our presentation very soon.